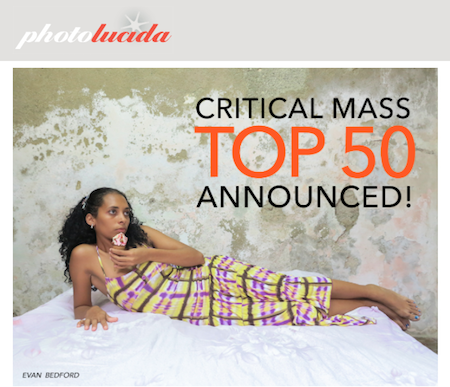 I am beyond happy to be included in this year's Critical Mass Top 50. Photolucida has long been one of my favorite portfolio review events, and their ongoing support for photographers' careers and the photo community is pretty spectacular. Link to Top 50 here.